One of bestselling author Meg Wolitzer’s most beloved books—an “acerbically funny” (Entertainment Weekly) and “intelligent…portrait of deception” (The New York Times). "A rollicking, perfectly pitched triumph. . . Wolitzer's talent for comedy of manners reaches a heady high." "Acerbically funny . . . Wolitzer keeps us guessing right up until the gut-wrenching twist of a finale." "To say that The Wife is Wolitzer's most ambitious novel to date is an understatement. This important book introduces another side of a writer we thought we never knew: Never before has she written so feverishly, so courageously." "Deploys a calm, seamless humor. . . Rage might be the signature emotion of the powerless, but in Wolitzer's hands, rage is also very funny." "The Wife isn't just women's lit with feminist issues. Deft and passionate, it raises questions about misguided aims and the deals we make with ourselves and others to reach them." "There are women in New York City who would kill to be Joan Castleman . . . [Wolitzer] paints an urbane picture of the book world of the '50s and '60s, when male writers would put down their pens and use their fists. Her hilarious gripes about marriage make this tale a pleasure best indulged in away from your better half." "Meg Wolitzer's sixth novel, The Wife, may be her boldest yet—an exploration of the passionate highs and divorce-threatening lows of Joan and Joe Castleman's forty-year marriage, delivered with signature wit, warmth, and a wise, woman's-eye view." "The Wife speeds along, glittering all the way, equal parts Jane Austen and Fran Lebowitz: epigrammatic, perceptive, ironic, smart, and ringing with truth. . . . [It] crackles with such intensity that it's hard to put down for a few hours. . . . [Wolitzer] grabs hold of that brass ring of universal experience and takes us all along for the carousel ride." "The Wife is a difficult book to put down, written with Wolitzer's customary wit and verve." "Diabolically smart and funny . . . Wolitzer choreographs [Joan Castelman's] ire into kung fu-precision moves to zap our every notion about gender and status, creativity and fame, individuality and marriage, deftly exposing the injustice, sorrow, and sheer absurdity of it all." "A tale of witty disillusionment . . . Wolitzer's crisp pacing and dry wit carry us headlong into a devastating message about the price of love and fame. If it's a story we've heard before, the tale is as resonant as ever in Wolitzer's hands." 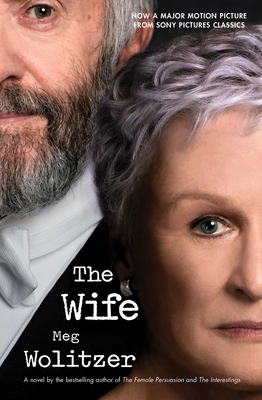 "[The Wife] features amazingly crafted prose. . . . Complete with a staggering twist ending, this is not one to miss." "A triumph of tone and observation, The Wife is a blithe, brilliant take on sexual politics and literary vanity (as well as sexual vanity and literary politics). It is the most engaging, funny, and satisfying novel the witty Meg Wolitzer has yet written." "Meg Wolitzer's sixth novel is her best—an astonishingly dry, funny, and gripping account of two writers trapped for life in an evermore bizarre marriage. Every detail she evokes about an era in American literary life, from college campuses to writers' parties, is persuasive, hilarious, and even frightening, while the indignation she registers about her heroine's predicaments is lightened and even liberated by her perfect comic timing. The Wife is a milestone in the career of one of her generation's truest novelists." "The wife of The Wife is a brilliantly conceived character, smart and foolish, tough-minded and weak-willed, witty and profoundly sad. And Meg Wolitzer's observations about gender and creativity: They are not only pointed, but penetrating. She has written some fine novels, but this is her best yet!" "How does Meg Wolitzer do it? Write those witty, deft, hilarious sentences that add up to so much tragic understanding of life? The Wife is a funny, sad, beautiful novel. Unforgettable." "Unflinching and acute, The Wife packs a ferocious punch. And that is before Wolitzer's stunning twist of an ending. If you've ever wondered what a female Philip Roth would write, here is the answer." "Funny, smart, sad, gripping, and utterly surprising. Meg Wolitzer's subjects are the yin and yang of love and hate, and the various strange and shadowy transactions at the heart of a marriage—specifically a marriage between members of that cohort too young to snuggle easily into the certainties of the Greatest Generation and too old to catch feminism's wave." "A complex, compelling portrait of a marriage that raises painful issues, even as it has you howling with recognition."